BEPPU, OITA PREF. - Japan has the 6-3-3-4 education system — compulsory education of six years in elementary school and three years in junior high school. Students then commonly go on to three years in high school and four years in university. International comparisons show that after completing their compulsory education, the scholastic ability of Japanese 15-year-olds is excellent, occupying a top position among the Group of Seven countries. 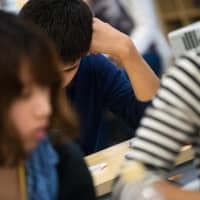 In 2015, the Program for International Student Assessment (PISA), which evaluates the learning achievement of students among OECD members, Japan ranked second in scientific literacy following Singapore, eighth in reading comprehension after South Korea and fifth in mathematical literacy behind Taiwan. Improved performances in such Asian entities as Singapore and Hong Kong are spectacular, but Japan is also maintaining a fairly good level of education not far behind them. However, a different picture emerges in university rankings. The Times Higher Education World University Rankings 2018 shows that the University of Tokyo, Japan’s top institution, ranks 36th and Kyoto University, the nation’s second-best, at 74th. They are the only two Japanese universities among the top 100 institutions. Japanese universities as a whole rank only 10th in the world — on par with China and South Korea. I suspect that the problem with Japan’s education lies at the level of higher education. Let’s consider the direction needed for reform in this field. First take a look at Japanese high schools. A significant number of high school students in Japan attend juku (cram schools). According to a fiscal 2016 education ministry survey on education spending, 35 percent of students at publicly run high schools and 44 percent of those at private high schools attend juku. Since this survey also covers students who wish to start working after graduation, and given that slightly more than 50 percent of high school graduates go on to university, it is safe to conclude that a majority of students who want to enter university attend juku. There are nearly 50,000 juku schools in Japan — surpassing the combined number of elementary, junior high and high schools at 35,000. Since there are so many juku, and high school education is not compulsory, why not allow juku and high schools to compete with each other? We could change the current system and allow anyone — whether they are high school graduates, juku graduates or self-taught students — to enter university as long as they pass the uniform test administered by the University Entrance Examination Center. Many of the problems associated with high school education, including truancy, could disappear. If we drop the age requirement for those taking the uniform entrance exam and make completion of compulsory education the only requirement, grade skipping will become possible. Some people think that AO (admission office) entrance exams — in which applicants are selected on the basis of each university’s admission policy — should become the mainstream university entrance formula. But the uniform exams will likely continue to play an important role in view of the need for equality of opportunity. Let me then turn to universities. Because the population of 18-year-olds is projected to decline sharply in this country, many people seem to believe that mergers between or cooperation among universities is key to their survival. But is that really the right direction institutions should take? Seen from a global perspective, we find that demand for universities is increasing because the worldwide population is increasing and the middle class is expanding, especially in developing countries with growing economies. Globally speaking, higher education is a growing industry. To take advantage of this trend, we will have no choice but to adopt the system of starting the school year in the fall and using English in entrance exams — both of which are a de facto international standard. At Ritsumeikan Asia Pacific University (APU), where I serve as president, half of the 6,000 students come from roughly 90 countries and regions around the world. Most of these international students apply to the university and go through the screening and admissions process in English and enter the school in the fall semester. In principle, first-year students — both domestic and international — must live in school dormitories. This means that Japanese students and non-Japanese students live together, many of them in shared dormitory rooms. The merit of having foreign students on campus is not just a question of numbers. It gives diversity to the university and nurtures a rich academic environment. Half of the teachers are also foreign, contributing to campus diversity. Internationalization of universities serves as the driving force to upgrade them both quantitatively and qualitatively. Diversity also must be sought in entrance exams for adults who have finished their formal education. 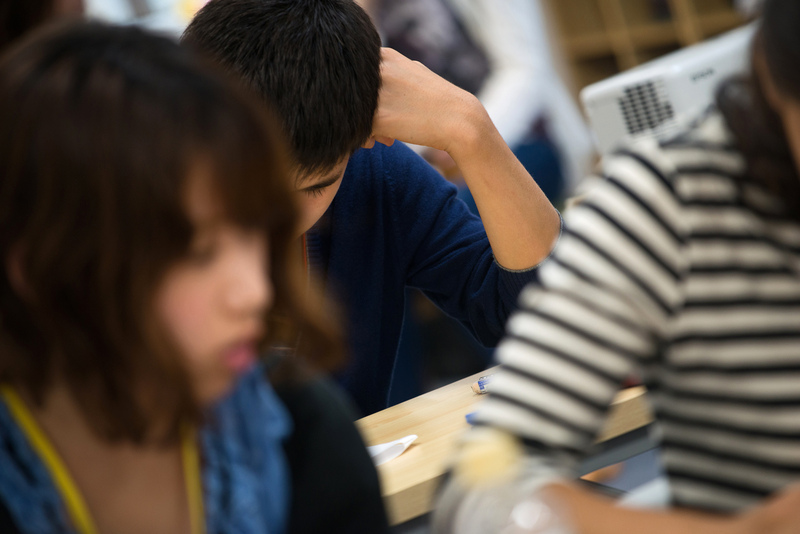 In Japan, the ratio of working students in the student body is extremely low. Those 25 or older account for less than 2 percent of Japan’s university students — less than one-tenth the OECD average. Without working students who have a rich experience in business, it will be impossible to create a satisfactory study environment. Most of the workers in new sectors like GAFA (Google, Apple, Facebook and Amazon) or venture capital-funded startups — the driving engine of the future economy — possess advanced degrees. In Japan, the ratio of high school graduates who enter university is low, and that of undergraduates who go on to graduate schools is even lower. Japan is indeed a nation of low-level education when compared with other countries. This serves as a structural factor that hampers the growth of startup companies in this country. Government officials, educators and business leaders must bear in mind that unless universities become serious about pushing recurrent education, Japan’s future will be in peril. Another important challenge is how to introduce new technology, or “ed-tech,” into the education scene. Strengthening graduate schools in the science fields should be counted as part of the effort to adapt to extraordinary progress in information technology. This does not mean that the humanities should be put on the back burner. Even if autonomous driving technology is fully realized, society cannot properly accommodate self-driving vehicles unless automobile liability insurance and traffic laws are redesigned. Besides opening up the admissions process, internationalization, recurrent education and ed-tech, universities must also improve their management. University management should be left in the hands of specialists in the field, and teachers should concentrate on education and research. To improve the quality of their teaching and research, teachers should be evaluated from multiple angles. These evaluations will introduce competition, and competition will bring progress. The mission for universities going forward should be to create curricula that can interest and excite the students. Haruaki Deguchi is the president of Ritsumeikan Asia Pacific University in Beppu, Oita Prefecture. A popular lecturer and author of more than 30 books, he founded Lifenet Insurance in 2008 after a career spanning nearly 35 years at Nippon Life Insurance Co.